This statement is provable by having the main and oldest factories in the country and have a team of highly qualified masters of rum who have known how to endorse the legacy passed down from generation to generation. Incorporated in November 1993, it is the organization called to unify harmoniously the main and most traditional Cuban rum factories in a strong and unique business structure, with the agility to respond to the requirements and challenges of today's world trade. Its mission is to produce, market and export rums and other spirits of different types with the highest quality standards to meet the demands of customers, combining high performance of human resources, adequate respect for the environment and technology, with the tradition of the best Cuban rum. Vision: to have a portfolio of products for export and domestic foreign exchange market, competitive and diversified according to customer requirements. High level of professionalism, knowledge and motivation of cadres and workers in general that allow them to continuously improve their performance. 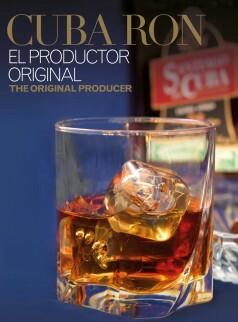 Having certified entities, a comprehensive management system that ensures: comparison with international standards, the safety of production, safety and health of workers, the exercise of responsible environmental management, the timely introduction of the achievements of science and technical and process automation, taking as its premise a high industrial culture as producers of the best Cuban rums. Cuba Ron has directed the diversification of its core business, the production and marketing of rum and other spirits, strengthening its product portfolio with high quality rums. Our presidency is located on 246 st. between 5ft Ave and el mar. Barlovento complex,Jaimanitas, Playa, Havana, Cuba.